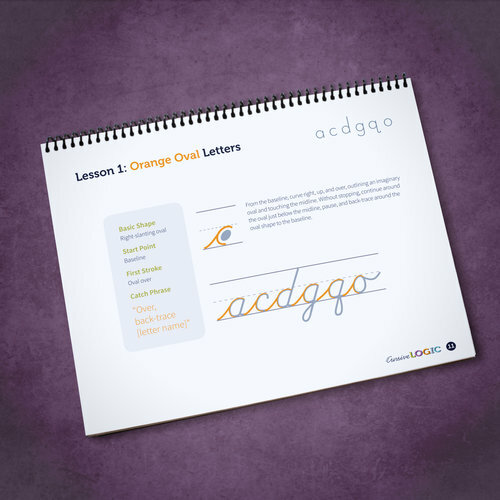 We had the opportunity to review the physical and online program CursiveLogic Quick-Start Pack and the physical product The Art of Cursive from CursiveLogic. When we started homeschooling, many years ago, handwriting was part of our daily schedule. Although I preferred beginning with cursive writing, we started with manuscript. After my children got a good handle on that form of writing, we eventually began cursive. The funny thing is, I am not sure when it happened, but somewhere along the line, we just stopped practicing handwriting. Unfortunately, practiced handwriting never returned in our school. Over the years, I have noticed the handwriting of my children. Good handwriting has always been important to me. Overall, their handwriting is not bad, but it could improve. I knew handwriting practice was something I would eventually include in our school again, but I did not know when. What made me act was when River expressed to me how he wished his handwriting was better. That made the issue more pressing and I am thankful that CursiveLogic has come to the rescue. Harvard graduate and college professor Linda Shrewsbury and her daughter, attorney Prisca LeCroy, also a Harvard graduate, are the two creative minds behind CursiveLogic, a handwriting program that makes teaching cursive writing “simple and fun”. The idea for the curriculum was sparked by Linda’s experience with a 23-year old adult with learning disabilities, when she was volunteering as a tutor at a local literacy program. He wanted to learn how to write cursive, so he could write his name. Although teaching cursive writing has declined in the public schools, I believe the skill is one that should still be included. CursiveLogic also recognizes the importance of learning cursive writing. If you read some of the points that are made, I am certain you will agree. CursiveLogic is geared towards students, age seven through adult. 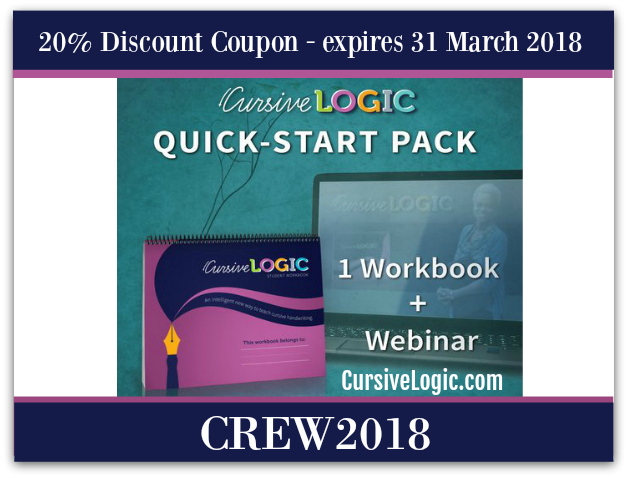 The CursiveLogic Quick-Start Pack includes one CursiveLogic workbook and six-month access to the instructional webinar with step-by-step instruction. That is everything you need to teach the program. The workbook is sturdy and colorful. 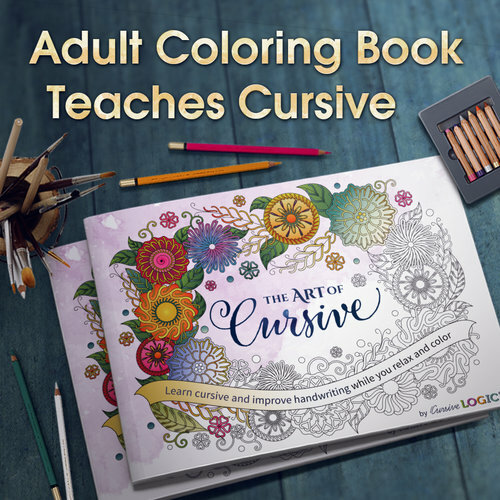 There are 57 pages of lessons and instruction and three dry-erase pages for students to practice the basic strokes that make the cursive writing program successful. The instructional webinar is about 50 minutes long and was helpful to watch. It gave me tips on how to teach the program. The material is presented in a manner that is not too advanced for a younger child who is new to cursive writing and will not demean an older student (especially a teen) who may be revisiting cursive writing for improvement. I watched the webinar all the way through before starting with the program. I thought it would be helpful for River to watch too. The program is very logical and straight-forward and the webinar walked us through the process of the program, step-by-step. Being able to see how the strokes (not just a completed picture) are made, gave us a visual and hearing a description of the strokes and catch phrases gave us key ideas to think about as we practiced writing the letters. We were able to easily grasp the concept, so it was really just a matter of working through the program with practice. River is a thinker and very methodical. He easily grasped the idea of CursiveLogic, which had him grouping like letters into four basic shapes and color coding those letters, so he would remember those shapes; he was to view like letters in “letter strings” instead of as individual letters, which “allows the letters to reinforce each other”. There are ten lessons included in the program. The workbook is printed double-sided and near the end of the fourth lesson, you flip the book and continue working through the program. Neat! It is also bound at the top instead of the side, so if you have a left-handed child, they will be able to properly position the workbook for use. CursiveLogic also covers the proper way to sit and hold a writing utensil. I love that! Each lesson contains three to four days of daily practice. We were able to include handwriting in his schedule, at least, two days a week. I was happy to learn CursiveLogic is widely used with older children as well as adults, and has been successful. Many handwriting programs are geared towards young children and cap out at upper elementary age. Cursive writing is important to practice and learn, but a lot of curriculum is too elementary for older learners. CursiveLogic does not forget that population and is a great curriculum to include in your homeschool, not only in the elementary school years, but also as a refresher during the high school years. The Art of Cursive includes 27 coloring pages that enhance the CursiveLogic handwriting program. It is for a student who has already completed the CursiveLogic program or an adult. Alhtough it is not a teaching workbook, it does include a four lesson overview at the beginning of the book. It covers the lowercase cursive letters and has a reference sheet for the capital letters. The Art of Cursive brings the beauty of cursive writing to life through the intricate, lovely and soothing designs on each page. While coloring through the pictures, you also practice cursive writing strokes. I figured the book would be a better fit for me than for River. 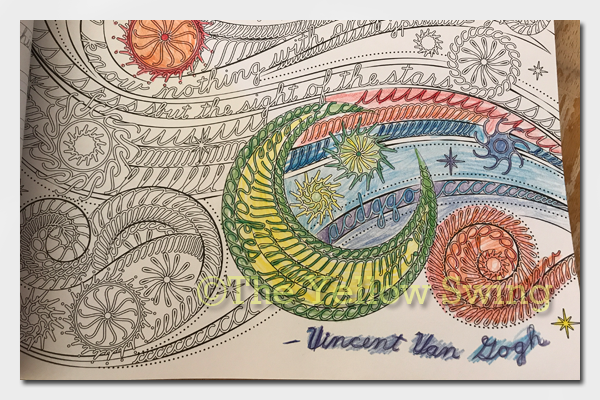 I have never gotten into the adult coloring books, but using The Art of Cursive is fun and gives me a chance to practice my cursive writing that has, over the years, become, um, well I need some practice. 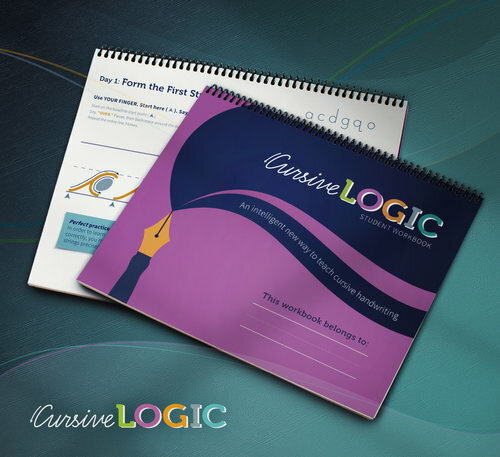 CursiveLogic Quick-Start Pack is available for $49 and the The Art of Cursive for $15.95. You may receive 20 percent off through March 31 when you use the promo code CREW2018.